Situated on the banks of the Ria Formosa, in the centre of Tavira, Vila Galé Tavira offers elegant rooms with a private balcony. Facilities include an outdoor pool and a spa. 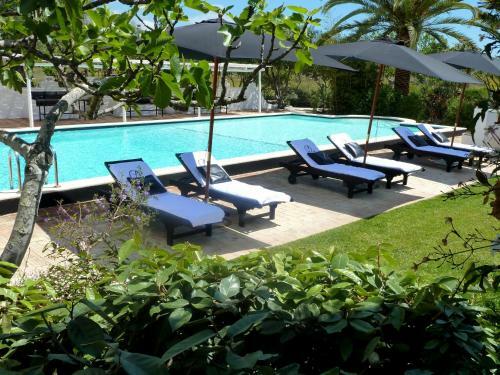 Perched on a hillside, Quinta das Oliveiras is a 12-acre property with an outdoor swimming pool and table tennis. It is made of 2 separate buildings and sits 6 km from Tavira city centre. Located in Cabanas de Tavira, 40 metres from Ria Formosa, the Aldeia Formosa - Cabanas de Tavira is a one-bedroom apartment with free private indoor parking. It lies 9 km from Tavira Island.